Holy smokes! 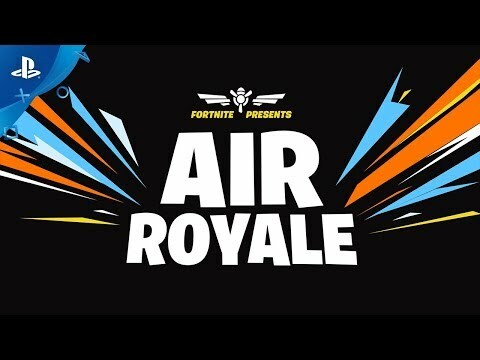 Air Royale is fun! FUN! FUUUUUUUUUUUUN! Two-person teams take to the skies and try to be the last in the air. The storm closes in from the sides, and above. Health and weapons upgrades abound, for those daring enough to collect them. This is a wild dogfighting free-for-all in the sky! 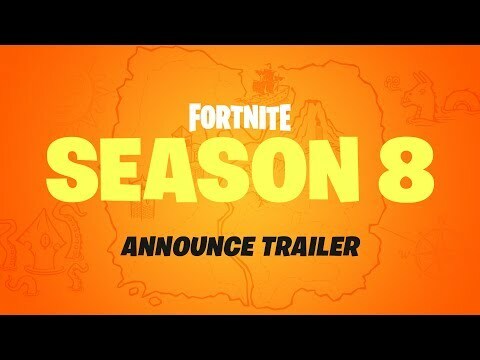 Fortnite Battle Royale Season 8 is here! A new squad-based Battle Royale game, Apex Legends, is thrilling the gaming world. Available free for Xbox, PC and Playstation, Apex Legends moved to the top spot on Twitch in under a week. Teams of three heroes work together to survive yet another battle island. 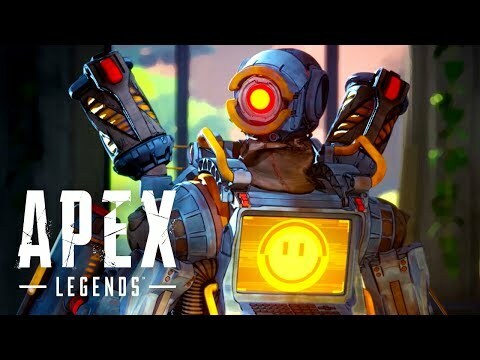 Apex Legends is far less whimsical than Fortnite, the reigning champion of Battle Royale video games, but also includes character classes. Players choose from a limited list of classes to receive special powers and offensive accents. Carribean and Pacific Islanders will cringe. Game play and overall functionality are fantastic for a free game at launch. There are in-game purchases that you do not need. Most are purely cosmetic, a few speed the activation of a few player classes. I am still learning my first class and do not need a new one. Fortnite Battle Royale is constantly adding new items, weapons, vehicles and locations. The latest? The Sneaky Snowman. The winter-themed map has a lot of Snowmen hanging around it. Now you can disguise yourself as one and sneak up on folks. 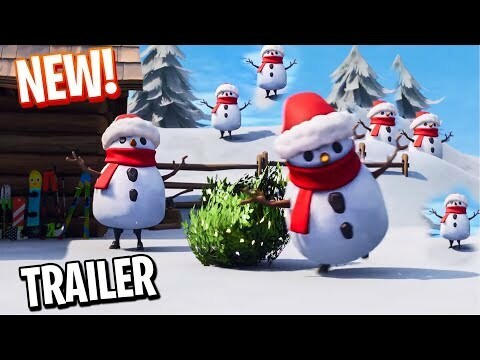 Snowmen can't build or use weapons, but they can throw snowballs and act as a free 100 shield. When you switch to another item, the Snowman disguise will fall. 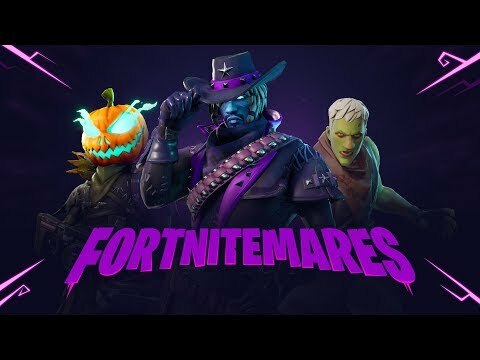 Zombies, the pumpkin launcher, a new fan firing six-gun, and our old friend the crossbow all make appearances in this trailer for Fortnite's "Fortnitemares" Halloween celebration. I can not wait to play. In Season Three the hardest damn challenge, over all 10 weeks, was to get a crossbow kill. Bringing that thing out of the vault is pretty cruel, but maybe they've improved it. I can see how a fan firing Colt Peacemaker type revolver would be a lot more fun than the former Fortnite revolver. That thing was a piece of junk and belongs in the vault. All summer long Epic Games has thrown huge money at their exciting series of tournaments, the Fortnite Summer Skirmish. Two players in particular made this weekend's grande finale burning hot! 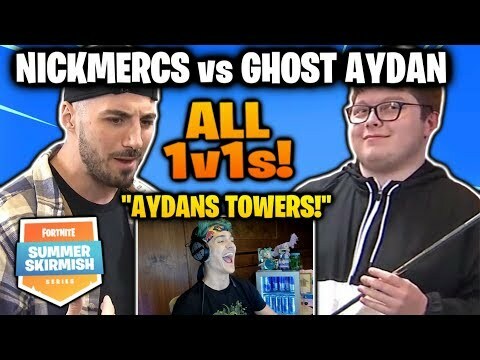 NickMercs and Ghost Gaming's Aydan made Tilted Towers their personal dueling ground. NickMercs is known for his brutal, efficient gameplay on console with a controller in a game dominated by keyboard and mouse PC players. He is also well known for going to Tilted Towers, a high loot, high action portion of the Fortnite Island. In the $1.5 million dollar showdown finale another console player decided to take him down! Ghost gaming's insanely aggressive Aydan repeatedly landed Tilted and the play was spectacular! Fortnite Season Five is off to a blazingly ridiculous start! The beginning of a new season is the best time to buy your Battle Pass! Get to work! Fortnite is fantastic fun. The 100 player Battle Royale mode sports fantastic gameplay physics and mechanics on Xbox, PS4, Nintendo, PC, and Apple iOS. The game is packed with hilarious animations, dances, actions, weapons, and locations. Backstory and Easter eggs are ludicrously sprinkled all over the map in a manner that is only additive and addictive, but doesn't impact gameplay at all. There is deep strategy to be learned, skill to be developed, and a massive eSports prize pool to aim for, or players can just build a crazy ramp and try jump a shopping cart across half the map. After releasing and withdrawing their long awaited 'Playground' Limited Time Mode (LTM) due to server load problems, Fortnite is poised to bring it back. Popularity of Epic's massive 100 player Battle Royale tanked the Playground mode on release. Epic failed to realize just how popular a practice/friends only/clip making mode would be. Playground mode will let players practice with their friends. Allowing folks to learn to aim and to build outside of a Battle Royale. 4 players get 1 hour to do anything they can imagine on 'The Island.' Resources are 10x, every spawn for loot will be populated, and players will respawn after an elimination.